Blaze, the free-to-air entertainment channel from the company behind History, H2 and Lifetime, has moved on Freeview. The channel, launched last year by A+E Networks UK, has moved to Freeview channel 80 as part of a reshuffle to fill empty slots on the EPG. 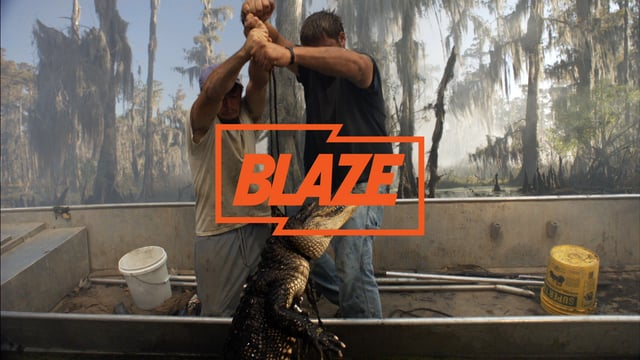 The +1 channel, which acts a placeholder service - it is only on-air for a limited time overnight - has moved to Blaze's old channel number, channel 83. Meanwhile, Quest+1 is increasing its Freeview broadcast hours from today, so that it can be accessed during primetime on channel 92. In order to achieve this, it has moved to a new frequency. Quest+1 will be sharing Freeview bandwidth with Hochanda, meaning the craft and arts channel will close at 7pm. To benefit from this change and to ensure that Blaze now appears on channel 80, Freeview users may need to retune. Some newer Freeview devices will automatically make the changes. YouView (BT TV, TalkTalk TV, Plusnet TV) as well as EETV and Now TV Smart Box users are also affected by the channel number changes. There will be further Freeview channel changes this summer to fill empty channel slots, culminating in a major reshuffle of children's, news and adult channels on 2nd August 2017. Viewers in the north of Scotland will have additional retunes between July and October due to transmitter frequency changes.